Wareable Tech Awards 2018 nominee Zwift has launched its new RunPod, making it a more affordable option to get a key part of the virtual training platform setup. 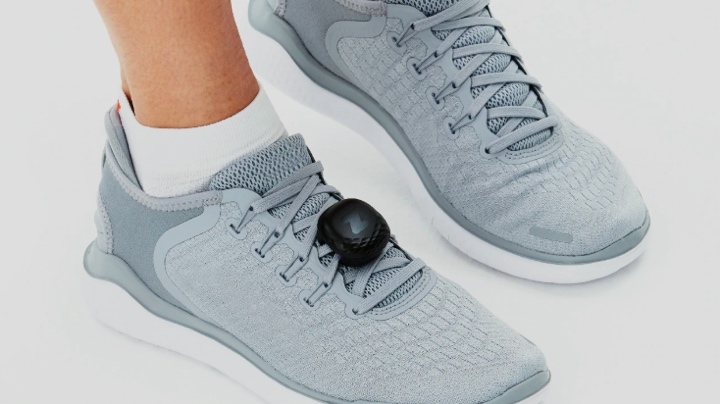 The RunPod, which is attached to the laces on your running shoes, syncs wirelessly to the running mode on Zwift. Once you're on a treadmill and get moving, it will then track and broadcast speed and distance data to get you moving in the virtual realms. The foot pod wearable weighs in at just 13g, so you're not going to notice it as you move. It's also powered by a standard CR2032 battery (the kind you find inside of watches), meaning you should get a decent amount of run time out of it before you need to swap it out for another one. Design-wise, it looks identical to the Milestone Pod we've already been running with in the real world. That has a little something to do with the fact that Zwift acquired the company in the summer. When the running version of the platform launched, the Milestone Pod was one of the few foot pods optimised for Zwift along with Stryd's wearable. But things have changed to make it better optimised for the platform to ensure it's better suited for indoor run tracking. While Zwift was primarily designed for cyclists, the introduction of a running mode this year has seen a bunch of new features added for those who prefer treadmill time to bike time. There's now runner-only routes, more training modes and a greater variety of virtual places to get some miles in. The Zwift Runpod is available to buy now for $29.99 from Zwift's website. That makes it significantly cheaper than the $100 Stryd Live that was launched earlier this year, although that was technically a limited edition and is a little harder to get hold of now.